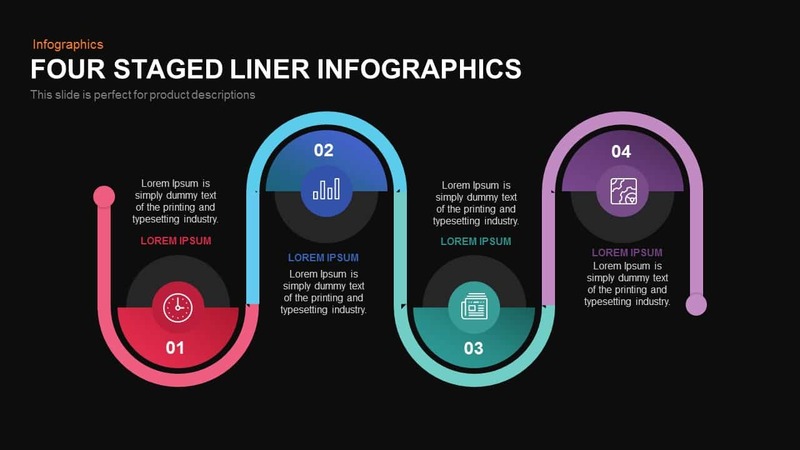 Colorful and attractive four staged infographics linear PowerPoint template and keynote is a curved diagram that shows the linear development of a process. It is useful for business presentation of progress review analysis. 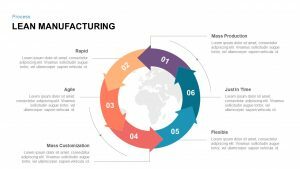 The horizontal timeline template illustrates a linear growth of business through sequential stages. 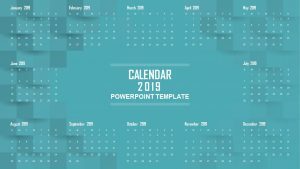 This roadmap template can demonstrate the historical events or future forecast by analyzing the current and past situation of company or organization. The users can use the segmented divisions for strategy presentation or business plan presentation. 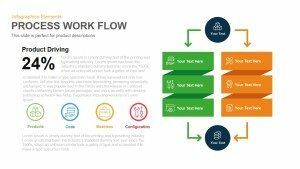 However, the diagram illustration would consume any subject regarding academic, engineering, agriculture, financial and more. 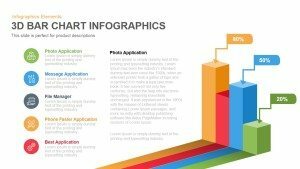 The four segments of the PowerPoint design is ideal to show the quarterly sales or financial reports and monthly revenue and profits. 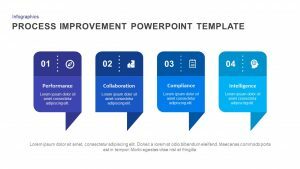 The professionals of any field can utilize this generic four staged PowerPoint template in their presentations. 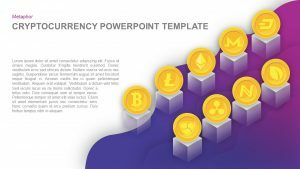 Especially for presentations, which require more textual content in the PowerPoint, it is an ideal selection of theme. The template contains wide space for adding important notes and information. Besides, the users can replace the infographic icons and use this space for textual contents. 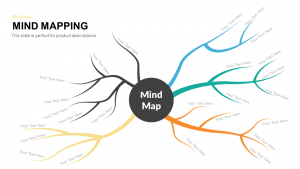 They can embed each topic in that space and make the presentation more contextual. 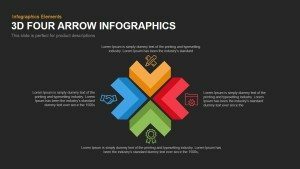 If the user’s doesn’t want to replace the infographic icons, they can use the default ones or insert more meaningful icons that might be closely related to the presentation subject. 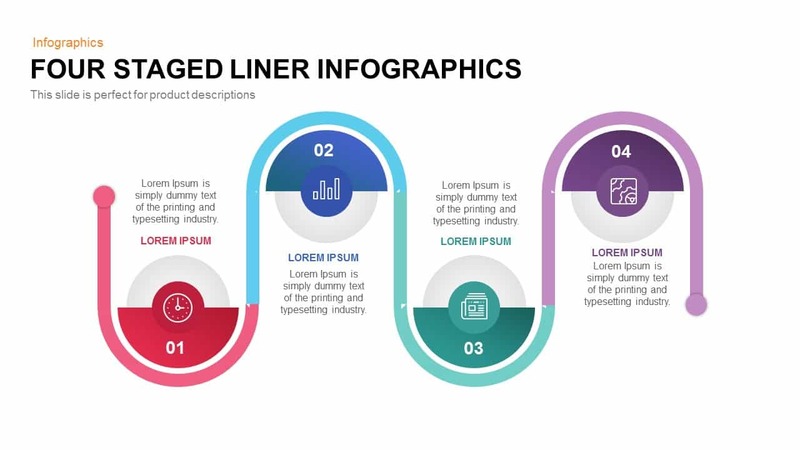 The four staged linear diagram for PowerPoint presentation is suitable to transfer information to the audience. So the visual graphics have been named as infographics. 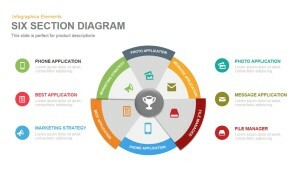 Four step diagram for PowerPoint presentation is a common diagram to display different business scenario. 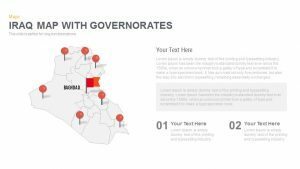 Users can use this template for vision presentation and agenda presentation. The sequential format is ideal to show interrelationship and interconnection. It is an editable PowerPoint timeline to track project development and placeholders to add further instructions. 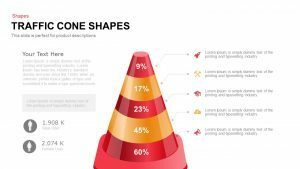 The slide bazaar offers an impressive collection of premium and free PowerPoint template that ensure the audience participation. 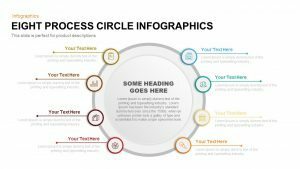 You can access more 4 Stages Templates here Grab the free ppt now!